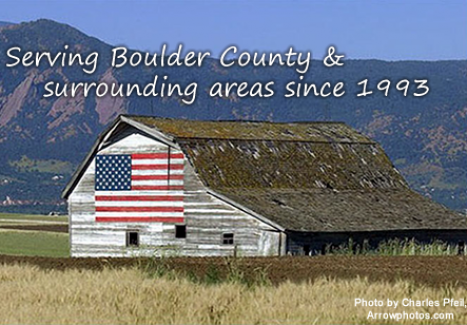 American Rooter is here to meet your toilet repair needs if you live in Boulder County, Western Weld County, Broomfield County, or Southern Larimer County. We repair and service most brands of toilets. 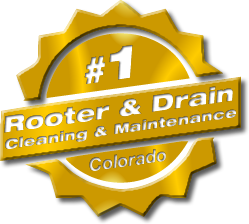 From fixing the inner workings of the toilet such as leaky valves and flappers, to removing obstructions and clogs from the toilet drain. A leaky toilet can not only result in thousands of gallons of wasted water, but if the leak is external to the toilet, it can cause serious water damage to your house. 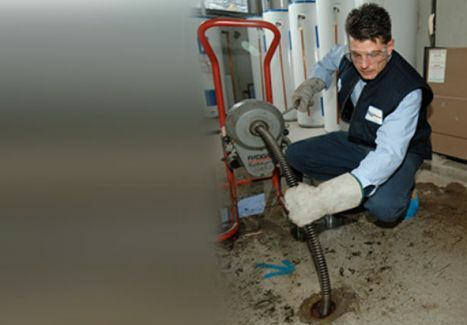 A good approach is to have your toilet regularly inspected for warn parts, as this is where the trouble usually begins. You can even do a visual inspection yourself as a preliminary step. 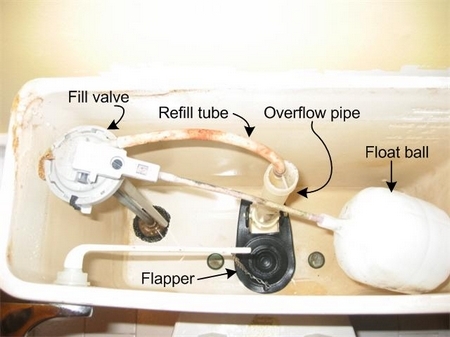 The picture below illustrates the inside of the toilet with the older float ball valve design. More modern toilet designs don’t require a float ball. TIP: If the water tank is full of water, yet the toilet continues to hiss, you may have a water leak caused by a faulty toilet flapper or toilet fill valve. 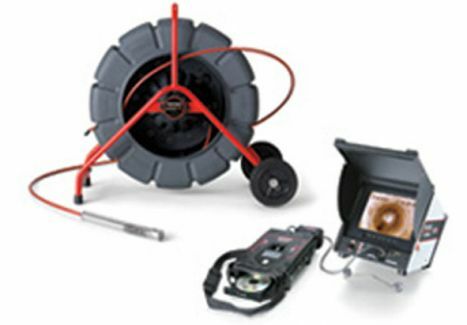 Flappers are relatively easy to replace, but if you’re unsure of what you are doing, we advise that you call American Rooter Plumbing to inspect the toilet problem.